Born in Miradolo Terme, a small village in the province of Pavia, near Milan in the North of Italy in 1952, Giuseppe Vaccarini has been a professional sommelier since 1972, and graduated with the high honour of Best Sommelier of the World in 1978 in Estoril (Portugal). Consulente di importanti industrie alimentari, Giuseppe Vaccarini è anche autore di numerose pubblicazioni e collabora con le principali riviste del settore enogastronomico. In his long and prestigious professional adventure, he has been, not only a sommelier, but also director of the restaurant “Gualtiero Marchesi” in Milan, Italy (1978 – 1983), teacher of “sommellerie” Istituto Alberghiero Carlo Porta (1987 - 2010) and in some Universities Masters (SDA Bocconi since 2009 and Università Cattolica del Sacro Cuore di Piacenza (2005 – 2007). 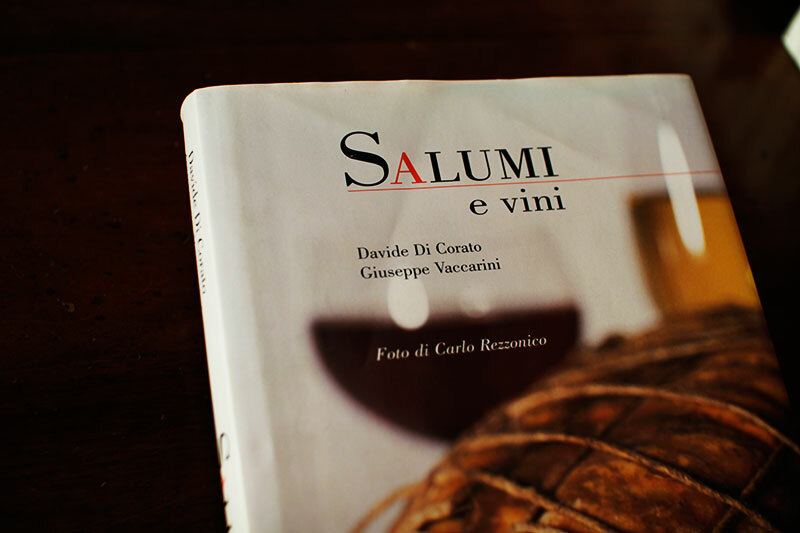 Consultant of important businesses of the alimentary industries, Giuseppe Vaccarini is also an accomplished author of numerous publications and collaborates with many specialized magazines in the field of food and wine. During his career he has served as a technical committee member and Jury President for different national and international competitions, among which those for the title of Best Sommelier of the World A.S.I. in Venice (1986), Paris (1989), Rio De Janeiro (1992), Tokyo (1995), Vienna (1998), Montréal (2000), Athens (2004), Rhodes (2007), and Trophée Ruinart for Best Sommelier of Europe 1992, 1994, 1996, 1998, 2000, 2002, 2004, 2006. Former President of the Association of Italian Sommeliers (AIS) from 1999 to 2002, Vaccarini also served as President to A.S.I. – the Association de la Sommellerie Internationale from 1996 - 2004, where in the same arena was appointed, as the Managing Director of A.S.I. through September of 2007. In June of 2007, Vaccarini founded the ASPI (Associazione della Sommellerie Professionale Italiana), the professional Italian sommeliers association, which is the member of the A.S.I. for Italy and the only one qualified for the selection of the Italian candidates for the Continental and World Competitions of Sommeliers. 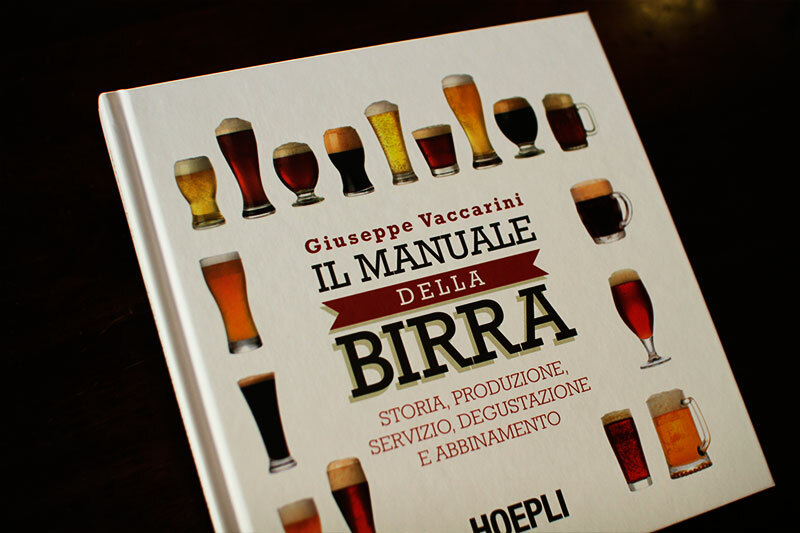 Presentazione del nuovo libro di Giuseppe Vaccarini, Il Manuale della Birra il giorno 18 Maggio 2015 presso il Ristorante Testina di Milano. Bormioli Roccocreator with designer Ugo Gonzaga of a range of glassware " Premium Professional"
San Pellegrino & Acqua Panna, Water Codex I, II, III and training courses for mineral water tasting, pairings with food & wines. 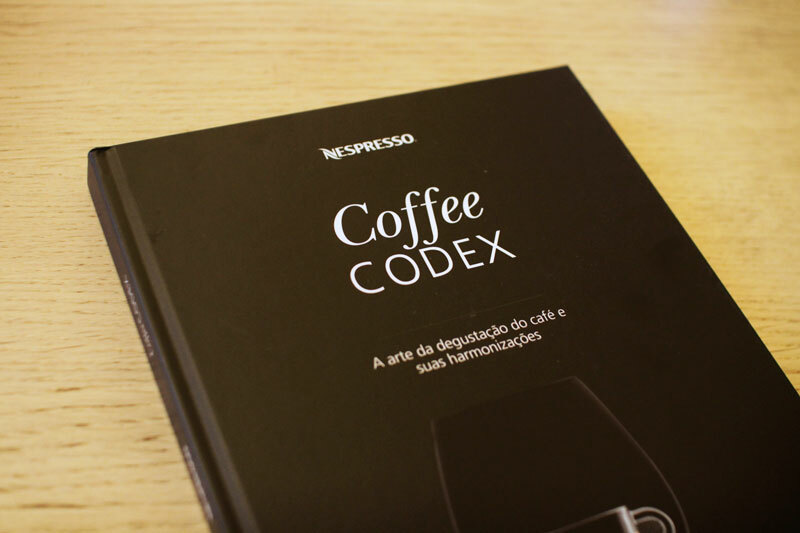 Nespresso,Coffee Codex, Master Coffee Sommelier, Chef Academy, inpiration for the coffee cups "Ritual" (created by Studio Putman, Paris), coffee glasses "Reveal" (created by Riedel, Kufstein, Austria). Birra Moretti, Le Birre Regionali (The Regional Beers). My Sommelier, APP pairing food & wine, APP pairing food & beer. Pommery, Champagne black label for the Italian market..
Il Mallo, sensorial profiles of traditional Italian liqueurs. For over 30 years, Giuseppe VACCARINI (GV) has offered the full range of wine and other beverages courses for wine professionals and enthusiasts from around the world. Whether you are interested in wine qualifications, recognized by the most important professional, wine tastings or other beverages, master classes or food, beer, mineral waters, coffees and wine pairing events, then the GV courses are for you. 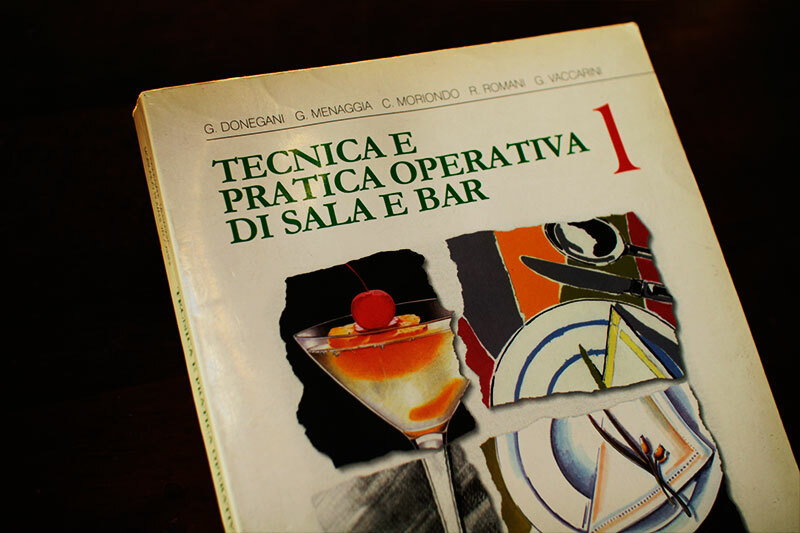 Hundreds of sommeliers and wine lovers in Italy and around the world have studied on his books to know and learn his methodologies and obtein food and beverages qualifications. History and evolution of the profession, from Cupboard to Sommelier. This course is intended to provide in the knowledge of the evolution of the profession of Sommelier and the wide possibilities of career for the young new generations. It focuses on factors that influence style, qualities, training and experiencies of the modern professional of the restauration. This course is intended to provide in-depth knowledge of a range of wines, beers, coffees, mineral waters. It focuses on factors that influence the style and quality of the beverages. You will taste an important number various typologies of those beverages and will learn how to improve the analytical tasting skills to a high level of competencies using a systematic approach to tasting. This course is intended to provide in-depth knowledge of a range of different food with beverages. It focuses on the perception of their sensations, their concordances and/or contrasts to find the balance and the harmony of the taste. You will taste several varieties of food to discover their tastes and you will learn how to identify the beverage that is more suitable for the pairing. This course is intended to provide in-depth knowledge of a wide range of wines of the mains wine Regions of France. It focuses on Champagne, Bordeaux and Bourgogne. You will taste several wines of each wine Region and discover their unique characteristics to reach a high level of competence using a systematic approach to tasting. Giuseppe Vaccarini, between the leaders of the national and international sommellerie, appointed "first beer sommelier" by the Commanderie des Cordons Bleus of France, en 1983 has been the first to introduce the subject beer into the sommeliers courses in Italy. This Manual is indeed indispensable texte of reference for the professional of the restauration and an extraordinary tool of promotion and valorization of the beer as beverage that can enhance the gastronomical enjoyement. Descriptions of the phases of tasting are the core of the manual, followed by the paring between food and wine, the precise indications on the selection of the glass or on the technical decanting, and the procedure for service, indispensable to exalt chosen wine. 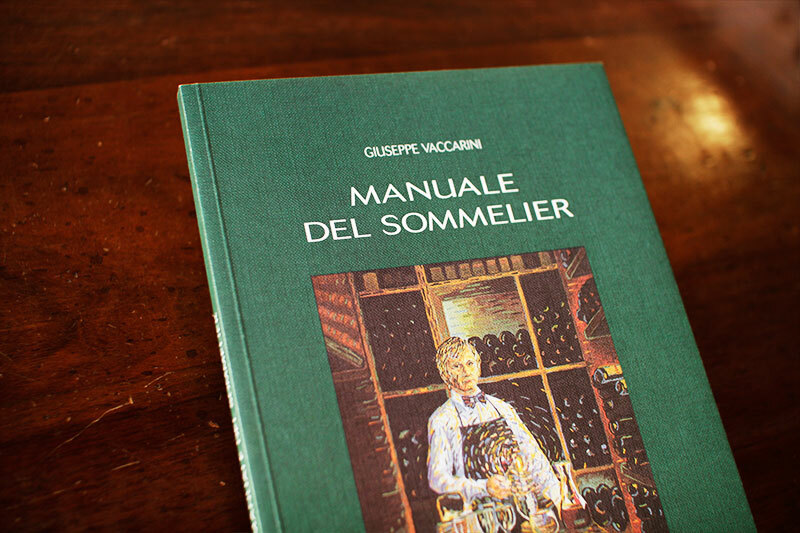 In the course of Giuseppe Vaccarini’s unparalleled career, the Manual of the Sommelier gives a rich and detailed documentation on beer, distilled beverages, mineral waters, cigars and other enjoyable elements of the dining experience. 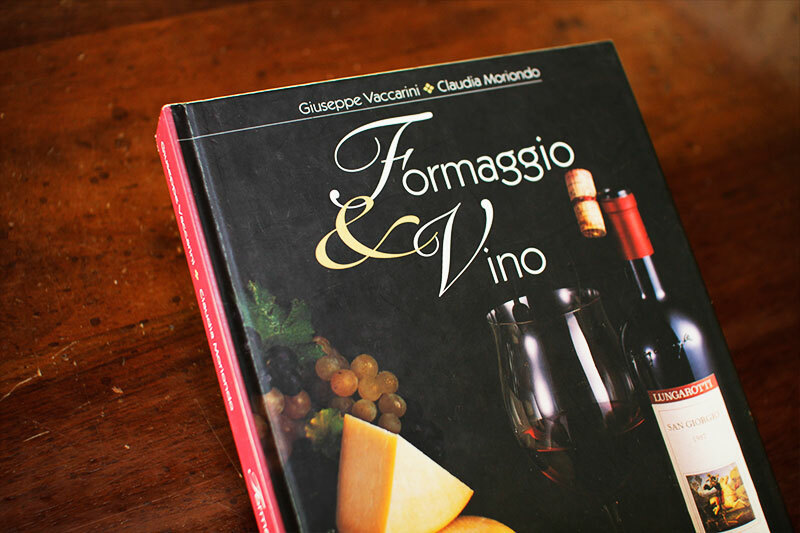 In this rich and detailed manual of food pairing comes definitive and basic criteria reviewing the principle foods and fundamentals of their preparation with a list of clear and precise recommendations on the selections of wine using a chart for a quick consultation, whether following a particular traditional Italian recipe or foreign one. Not to be missed in this author's ambitious manual, the recipes of "stellar" chefs, for which Vaccarini signs off an ideal pairing, or some exotic cuisine by now as wide spread as difficult since dealing with the moment of facing the wine list. 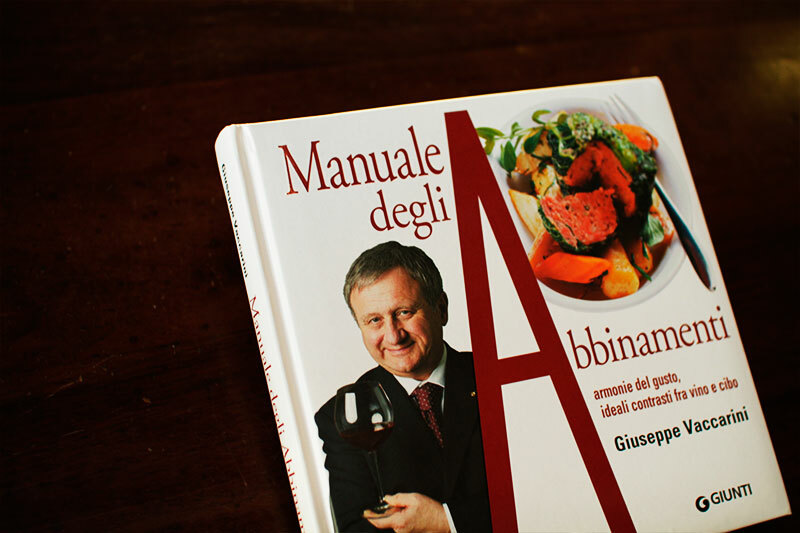 Lastly, to mention, the original contributions of Gualtiero Marchesi and of Enoteca Pinchiorri. The world of the sommellerie is attractive and strictly professional. 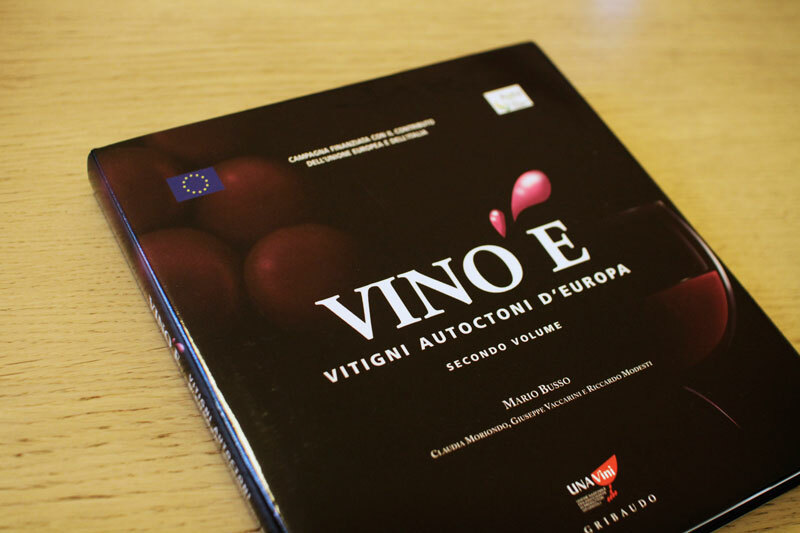 This book mainly written and attended by Giuseppe Vaccarini with the collaboration of some colleagues, illustrate with great precision the profession of sommelier, the tasting techniques, food and wine pairing, the service skills, and presents the Italian wines production areas and those of the main world’s producing countries. 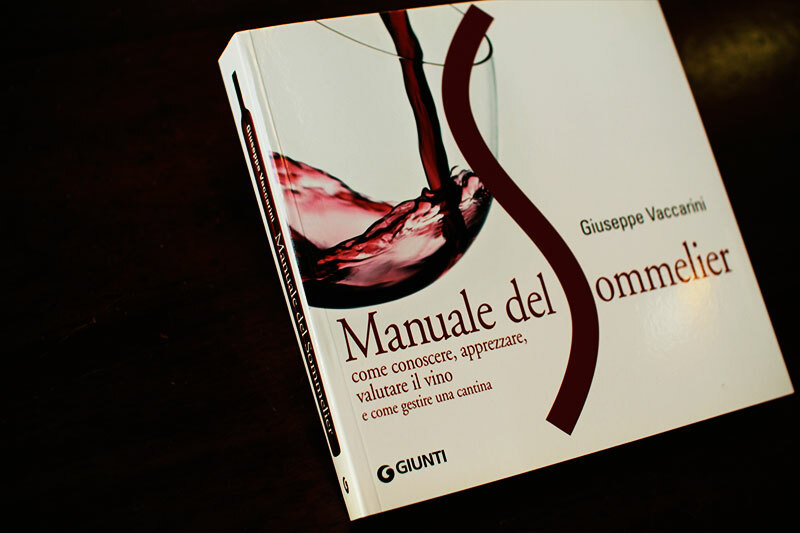 It is a book suitable for wine lovers and for those that want to begin the profession. • Background on coffee and how it is produced - from green coffee bean to cup - with a special focus on how Nespresso produces its high quality Grands Crus. • How to taste coffee, including specific tools and techniques, such as a tasting scorecard. • The art of harmonizing coffee with foods, from different types of mineral water, eau-de-vie and liqueurs, chocolate and other desserts. 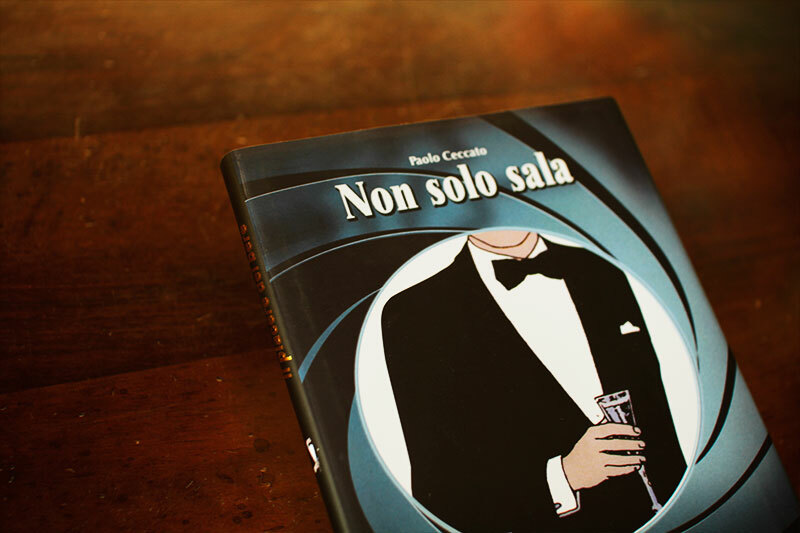 Together with Claudia Moriondo and in collaboration with S.Pellegrino and Acqua Panna, this book shares their long-standing knowledge in the field of mineral water with food and wine experts and enthusiasts, listing the many sensory factors that distinguish the taste experience of these mineral waters. 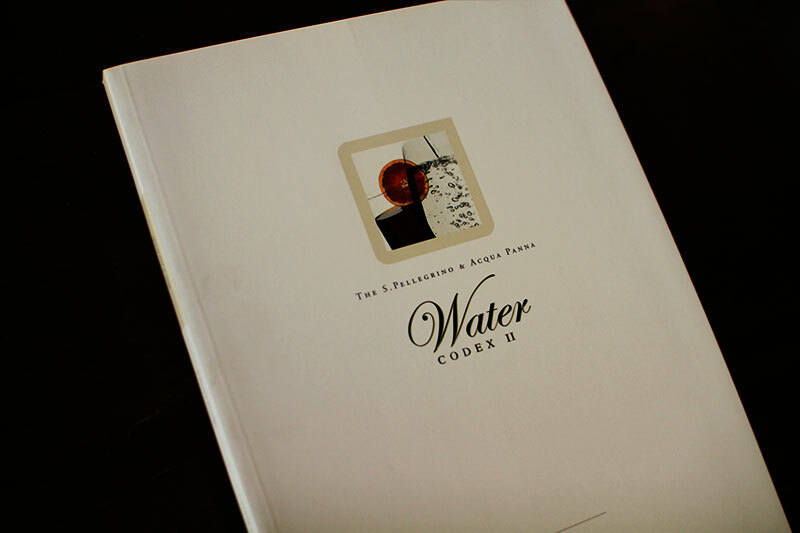 The methodical approach and analytical language, and above all aim to provide a clear outline of who to appreciate an serve water, justified the sue of the Latin term “Codex” for the title of the book. 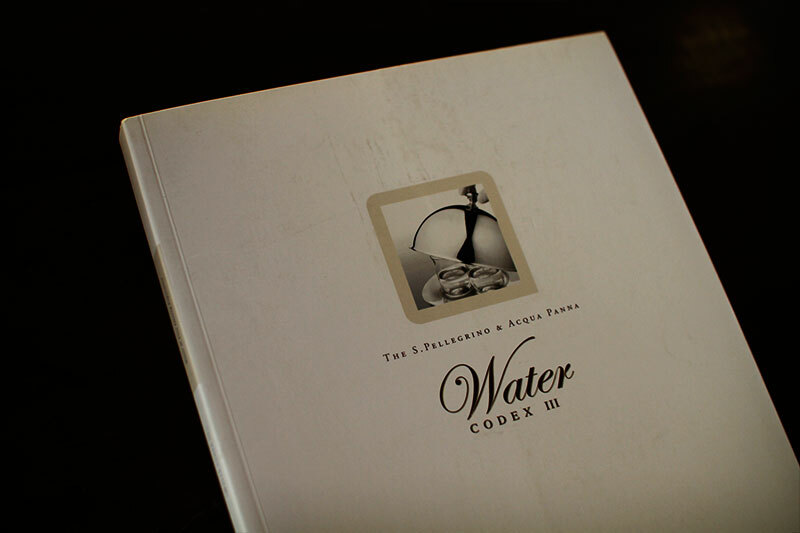 The second volume is devoted to the harmonization between water and fine drinks, with the aim of completing the pleasure one experiences at the dining table. In third volume the atoms and the molecules of water come to be explained, as well as all of the other alimentary products which are analyzed, deciphered and interpreted by the senses. 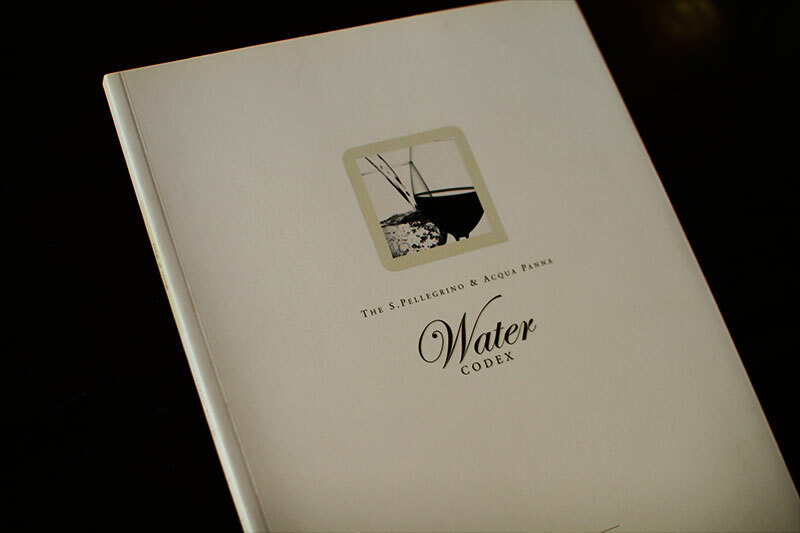 Every page of this book is rich with ideas and scientific observations about how water is indispensible in completing every sensation of experiencing food, and the wine that accompanies and harmonizes it, in order to allow for rich and complete enjoyment of the variety of unforgettable emotions of food, wine and water. The first codex on gelato in Italy and the world that tells the history of it, the first tasting technique, pairings with wine and other beverages, exclusive recipes from Gualtiero Marchesi and Igino Massari, the interpretation by the ALMA school on twelve unpublished recipes, ideas and new forms for putting it all in place. This volume offers to restaurant enterprises, both of large and small proportion, concrete information to face the market and put them into effect them, to best organize themselves and to carry out a program of comprehensive marketing. It examines the structure of the kitchens in connection with their efficiency, takes in consideration the human resources (training, management, strategy), explains the drawing up of the banqueting event order, the inspection pre-event, and the restoration post-event and logistics. 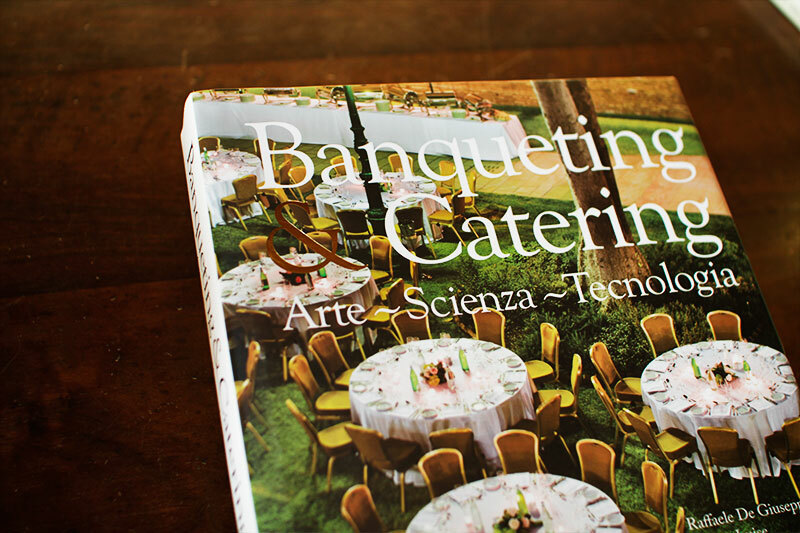 The book also covers the organization of the kitchen endeavors, creating the menu, food cost, the synergies between these various parts of the field of food, beverage and the banqueting sector. 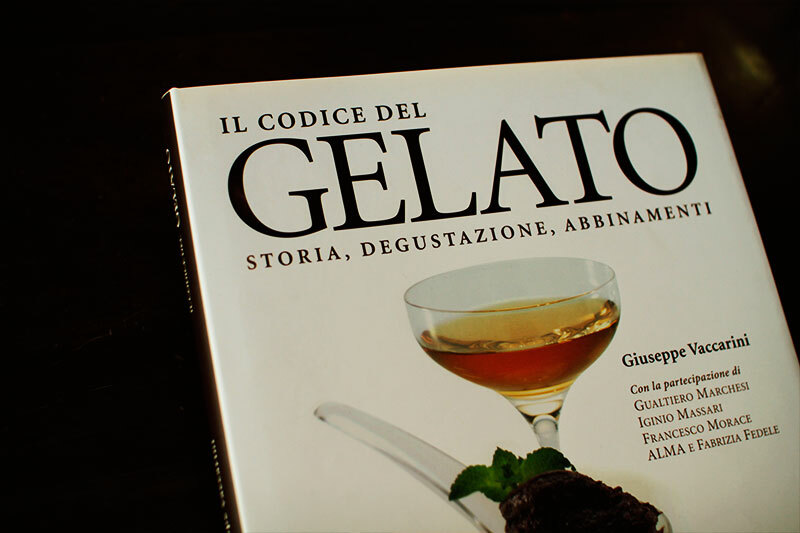 In the 2010 prestigious Gourmand World Cookbook Awards was awarded as being “Best Italian book for professionals” and “Best Italian book on the subject of hospitality”. A tasting guide of 100 cheeses and 300 wines, both Italian and foreign, to learn how to move between the various types and tastes and to appreciate these products so rich of history. The detailed tasting card of each cheese described by Claudia Moriondo, are accompanied by suggestions for pairing with wines as advised by Giuseppe Vaccarini, Chairman of the Association de la Sommellerie Internationale. The subject of food and wine pairing is always gaining interest. This time our “team” of experts has into consideration the great possibilities offered from 100 typical salami, from bresaola valtellinese to the ‘nduja calabrese'. Davide Di Corato forms a detailed outline of information on the methods of production, ingredients, additives, ageing, and seasoning along with historical points and anecdotes. Giuseppe Vaccarini suggests a selection of wines to pair with each salami and explains also the parameters used to direct his selection. The beautiful pictures of Carlo Rezzonico facilitate the identification of these products and make your mouth water! A book created from the collaboration of a chef (A.Ghilardi) and a sommelier (G. Vaccarini), combining their knowledge and professional experience bringing together insights of perfecting service in the kitchen and the dining room. The book is also full of wonderful recipes sure to interest and inspire your own cooking and dining experience.ion. The beautiful pictures of Carlo Rezzonico facilitate the identification of these products and make your mouth water! 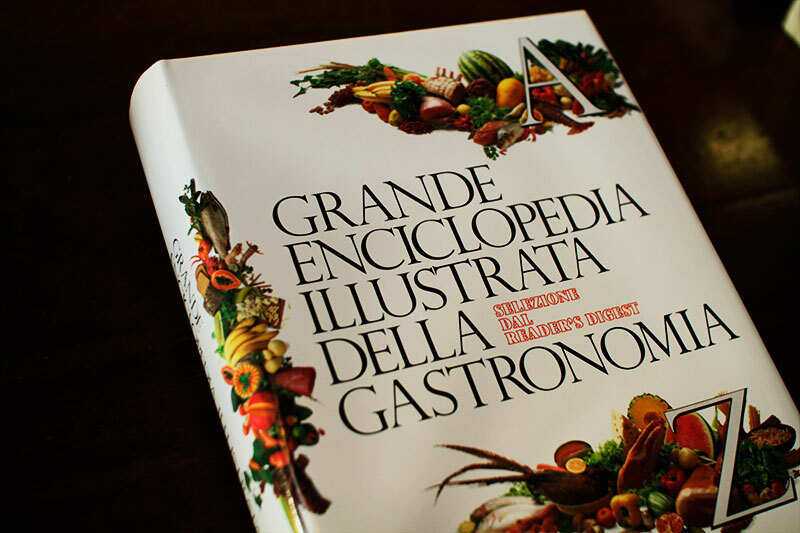 This tome of more than 900 pages resumes a complex subject that is usually object of specialistics books , but also for readers loving gastronomy is important to have close to hand. The enciclopedia explains and illustrate the cooking techniques, the kitchen equipment, the advantages and the disadvantages of what is available on the alimentary market, through 5.220 lemmas organized in alphabetical order. A hugh work that resumes the experience of the past and gives a portrait of the actual gastronomical situation as well as a panoramic view to the cuisine of other nations. This first volume written in collaboration with Claudia Moriondo, Riccardo Modesti and Mario Busso, is dedicated to the countries that overlook the Mediterranean. Volume one has been created with the objective to emphasize the native vines which, present on the same land for centuries, have gone through a natural selection and were differentiated rendering themselves characteristics of the zone. The recovery of these vineyards, offspring of a vanishing tradition, is important to safeguard the endless bio-diversity that Europe appreciates, be it to reactivate all the small micro-economies that can contribute to emphasize areas that wait for the right occasion to be introduced. 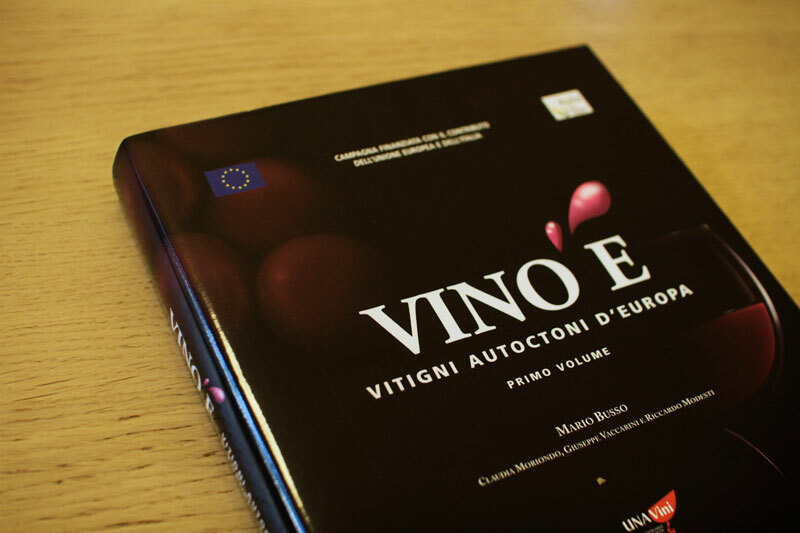 The second volume of Vino è, again written in collaboration with Claudia Moriondo, Riccardo Modesti and Mario Busso, focuses on the vines of continental Europe with the shared objective of Volume one, to emphasize the native vines which, present on the same land for centuries, have gone through a natural selection and were differentiated rendering themselves characteristics of the zone. In the dynamics today’s world, on which information and news run after each other and sometimes contradict each other , requires of been always updated and fall into step with its time can provoke dejection and disarray. This volume is dedicated to the students of the hotel & catering school but can be usefull for the professional and all those that simply wish leave with style daily moments of conviviality. Book translated from the homonymous book of canadian Jacques Orhon, of which Giuseppe Vaccarini has attended the Italian edition, as the result of a rich update on the Italian wine production outcome of an articulated and complex research into the transgress wide panoramic Italian wine sector, in which regionals maps have been added in order to facilitate the identification of the DOC and DOCG’s production areas..
Texts about beverages written by the sommelier Giuseppe Vaccarini and barman Carmine Lamorte for the Maitre d’hotel and friend Giampaolo Ceccato. 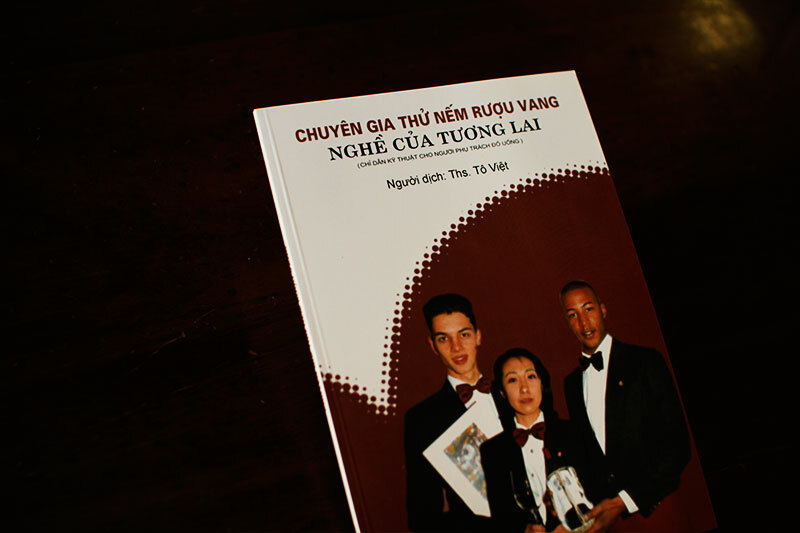 A book written with high professionality in order to give useful advices to the young that initiate the profession of the service into the restauration. A description that goes from the aperitif to the infusion, going by through the wine, mineral waters and anything that, over the food, goes through the service in the dining room. 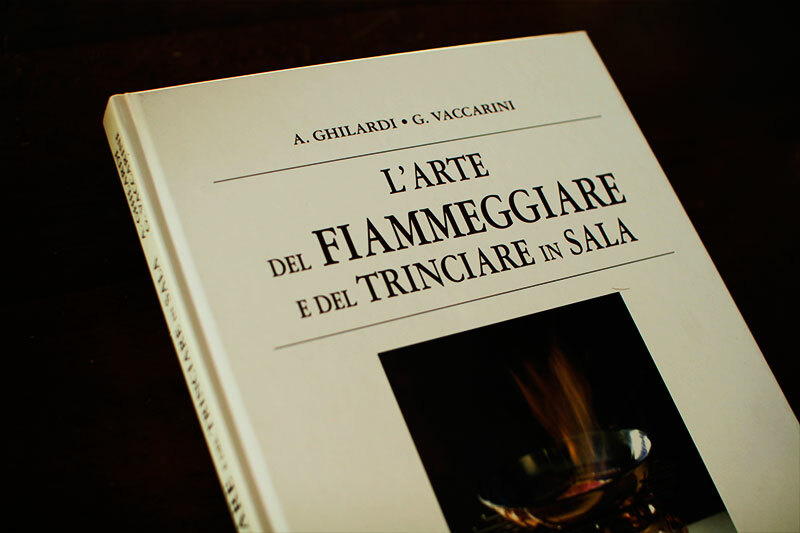 This book is the first and historical "Manual" of Giuseppe Vaccarini from which all successive have been inspired. 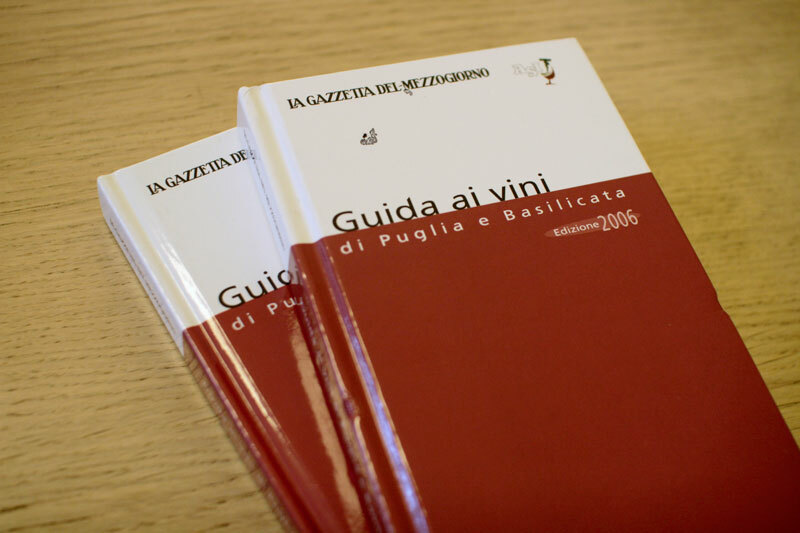 It is a small volume of hundred pages with the "tecniques" regarding the work of the modern Sommelier. It is a book that talks of work with simplicity and humility because written by a real professional of the restauration. This detailed manual created by G.V. for the Association de la Sommellerie International (I.S.A. ), is intended to be an indispensable instructional support for the training of the modern sommelier and their professional service of wine and other beverages. 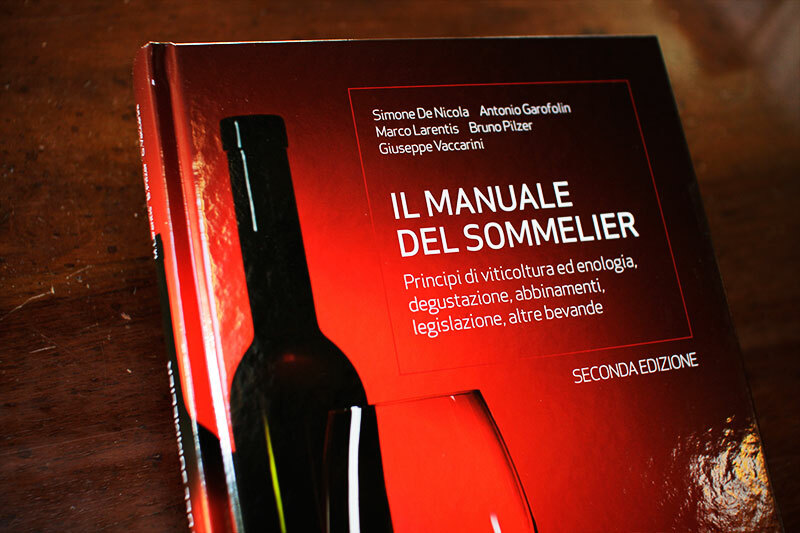 This manual is intended to be simple and practical, highlights exactly how the sommelier should behave in a variety of situations to promote precise conventions of wine service while promoting the prestige and recognition of the role of the sommelier. 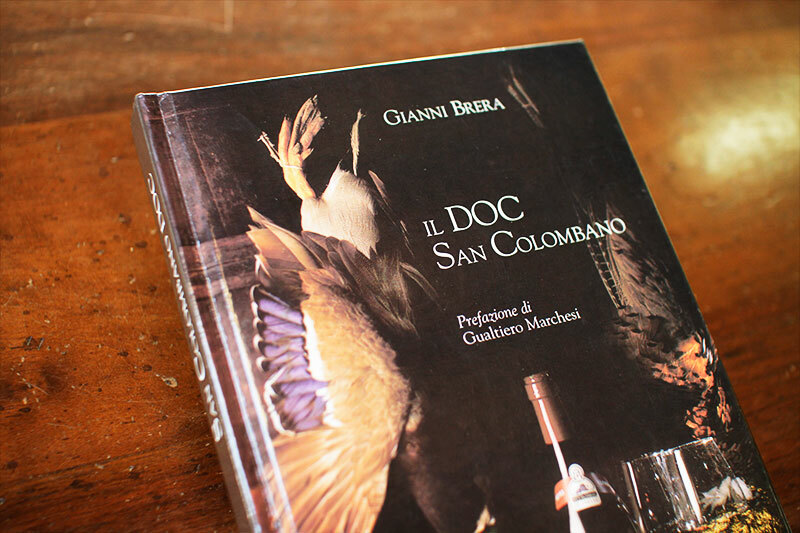 With the preface of Gualtiero Marchesi and a short text on the food and pairing with the wines of San Colombano with this book of the famous great journalist and writer Gianni Brera, published posthumous, the Consorzio dei vini DOC di San Colombano has given a tribute to three celebrities that have their origin in its territory (Brera, Marchesi, Vaccarini). 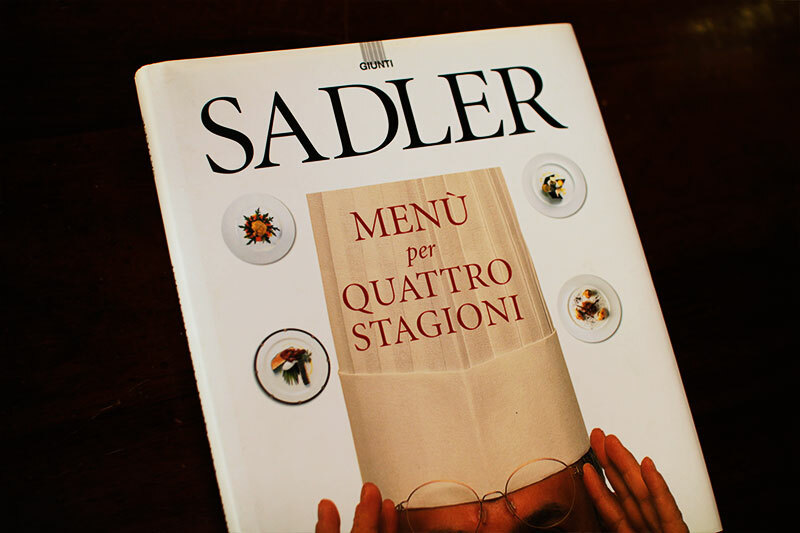 Claudio Sadler, un artist of the cuisine, born in Trentino, living and working in Milan, is one of the most popular chef of Italy, with the natural gift of communicate and transmit to the others his knowledge. 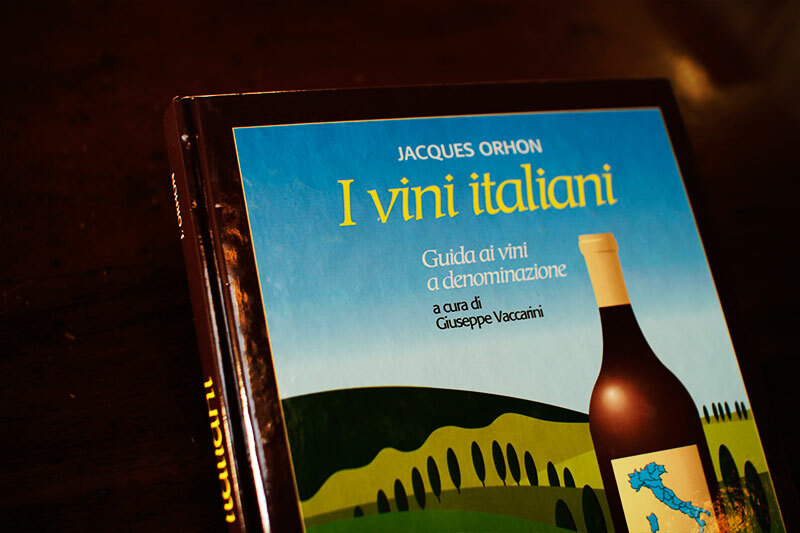 In this book he did avail himself of the opportunity of the collaboration of Giuseppe Vaccarini for presenting the wines pairing to his recipes. 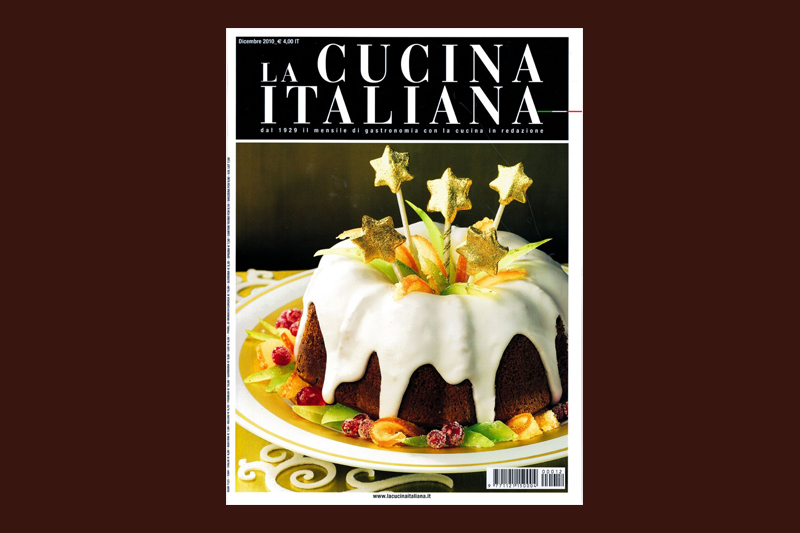 In a collaboration which began almost 30 years ago, Giuseppe works closely with the renowned and historical Italian culinary magazine La Cucina Italiana, providing wine pairings for their select recipes and also, a column dedicated to selection of wines for the table.